All entrants must be female. There are no restrictions on age, style or instrumentation. Grand prize winners of previous Hit Like A Girl contests are not eligible to participate in the contest; however, previous finalists and entrants may participate in this contest. You must be a qualified entrant to participate in the Contest. A “Qualified Entrant” is defined as one who does not earn more than $100,000 adjusted gross per year as a professional musician, based on the prior tax year and is not a party to any endorsement or entertainment contracts that, in the Sponsor’s sole determination, conflict with the spirit of the contest. For purposes of clarity, the term “professional musician” does not include teaching music or giving music lessons, or and incomes derived from teaching-related activities will not be counted in determination of a contestant’s status. This year’s contest is somewhat different from the past. Our goal is to encourage more girls and women to participate and adjust the process so that there are opportunities, benefits and rewards for all players. We therefore have several types of contests, several types of prizes and several types of winners within Hit Like A Girl. Everyone who enters HLAG gets a copy of their score sheets with feedback from at least 2 and as many as 4 of our preliminary judges, a certificate of participation and a “PowerPack 3” digital goody bag that includes free educational material, booklets, magazines and discount coupons. 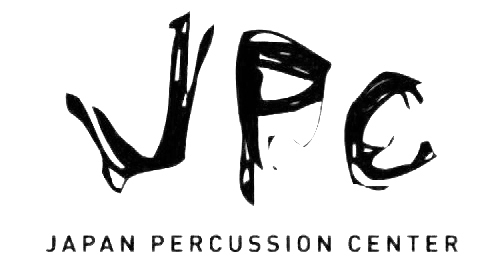 Preliminary Judges are esteemed educator members of Percussive Arts Society, Vic Firth PDT, Sabian Education Network, and the D’Addario Education Collective. The HLAG Evaluation Sheet was developed by leading educators and scores entries on Groove, Sound, Technique, Musicality & Interpretation, Presentation, Showmanship & Effect and Story. One “Weekly Winner” in the upper and lower age division of the drumset category is chosen during each week of the contest and will receive an assortment of prizes. Weekly contestants are those who rank in the weekly “Top Ten” list based on each contestant’s scores from the preliminary judges. Those scores are submitted to a team of judges made up of executives and endorsers of the company sponsoring that week’s judging. Beginning March 27, 2017 all Finalists appear on the HLAG Homepage and a “Vote Now” button will be added to each finalist’s page on the site. Once they sign-in using their HLAG or Facebook account, visitors may vote for as many of the finalists’ videos as desired but only one vote per contestant per day. Votes are verified, certified, updated and posted daily. At the end of the online voting period (April 9 at 11:59 PM PDT), the under and over 18 entries with the most votes are declared the “Popular” winners of the contest and receive a prize package. Also beginning March 27, 2017, each Finalist’s preliminary score is erased and a panel of the world’s top female and male drummers review and re-evaluate the Finalists’ entries to determine the “Critical” winners, including the Champions and 1st and 2nd Runners-Up in each age division. These winners receive a prize package and performance opportunities. Special Award recipients are selected by representatives of a range of media and educational sponsors based on talent, geography and/or need. See Special Awards. One winner in the upper and lower age divisions of the World, Concert and Marching Percussion categories is chosen by a panel of judges who specialize in those areas. These winners receive category-appropriate prizes and performance opportunities. Winners in various categories are announced between the end of the entry period (March 15) and the end of the Online Voting period (April 9). Popular winners are announced on April 11. The Champions and remaining winners are announced on the 2017 HLAG Awards Show on DrumChannel.com on April 18, 2017 at 6:00 PM PDT. 15–20 finalists in each age group will be forwarded to the panel celebrity judges. Each judge will watch each finalist entry and score them according to the criteria listed above. The eligible contestant with the highest score will be declared the Grand Prize Winner. The drummers with the next two highest scores will be declared the First Runner-up and Second Runner-up, etc. On March 30, 2017 via live webcast on Drumchannel.com. Details to be announced. If any winner does not comply with the official rules or is ineligible or fails to sign any required documents by the date and time required, then the potential winner will be ineligible. Each prizewinner must provide her address and Social Security Number (in the US) in order to receive any prize. Additionally, all prizewinners are asked to sign a release form so that their likeness and video may be used to promote the contest. All Prizes are subject to availability. No cash redemption or prize substitution allowed, except by the Sponsor who reserve the right in its sole discretion to substitute cash value or another prize it believes is of equal or greater value. Prizes are non-transferable and non-refundable. Winners may not divide any of the individual prizes, especially the prizes that together comprise the Grand Prize. Any attempt to transfer, sell, fail to cooperate with, renounce, repudiate and/or refuse any part of the Grand Prize shall immediately disqualify the Winner from the Contest and such Winner will forfeit the entire Grand Prize. In such event, Sponsor may select a Winner in the order of ranking by the judges as set forth herein. All Prizes claimed will be awarded. Except in Tennessee and where prohibited by law, entry in this Contest constitutes permission for the Contest Entities to use contestant’s name, photograph, image, likeness, statement, testimonial, biographical information, voice, music, performance, prize information, personal exposition, city and state addresses, in all forms of media, including on the internet and in film, videotapes, photographs and/or recordings (and/or edited versions thereof) on a worldwide basis, in perpetuity, without further compensation or notification. Notification to all winners and runners-up in both categories (Under 18 and 18 And Over) shall be via email AND phone upon completion of the final voting round. By entering this contest, you agree that the notification methods stated here are sufficient to give you notice in the event that you are a winner of any prize. IF ANY WINNER FAILS TO RESPOND BY AGREEING IN PERSON OR BY TELEPHONE TO ACCEPT HER PRIZES WITHIN FOURTEEN (14) DAYS OF NOTIFICATION, THEN THAT WINNER FORFEITS THE PRIZES AND THE NEXT HIGHEST FINISHER WILL BE CHOSEN. All applicable taxes, including all federal, state, local and other taxes and any license, destination and delivery charges, fees, or costs, are the sole responsibility of each winner, or if the winner is a minor in her state of residence, the winner’s Guardian. All expenses and incidentals not specifically mentioned here are not included and are solely the responsibility of each winner, or if the winner is a minor in her state of residence, the winner’s Guardian, including but not limited to, purchases, meals, beverages, airport transport, service fees, medical services, personal expenses, telephone calls, insurance, taxes, gratuities and other costs. Winners (or Winner’s Guardians, as applicable) may be issued a 1099 tax form for the approximate retail value of their prizes. As a condition of entering, entrants (or their parent or legal guardian if an eligible minor) agree (and agree to confirm in writing): (1) any and all disputes, claims, and causes of action arising out of or in connection with this Contest, or any prizes awarded, shall be resolved individually, without resort to any form of class action, and any judicial proceeding shall take place in a federal or state court within the State of California; (2) any and all claims, judgments, and awards shall be limited to actual out-of-pocket costs incurred, if any, but in no event attorneys’ fees; and (3) under no circumstances will contestant be permitted to obtain any award for, and contestant hereby waives all rights to claim, punitive, incidental, and consequential damages, and any other damages, other than for actual out-of-pocket costs incurred, and any and all rights to have damages multiplied or otherwise increased. All issues and questions concerning the construction, validity, interpretation and enforceability of these Official Rules, or the rights and obligations of entrants, Prize Givers and Sponsor in connection with this Contest shall be governed by, and construed in accordance with the laws of the State of California, without giving effect to any choice of law or conflict of law rules or provisions (whether of the State of California or any other jurisdiction), that would cause the application of the laws of any jurisdiction other than those of the State of California. This Contest is subject to all applicable federal, state and local laws and regulations. By participating, entrants agree to be bound by these Official Rules and the decisions of Sponsor and Judges and waive any right to claim ambiguity in the Contest or these Official Rules. Sponsor reserves the right to make changes or additions to these rules and/or change the dates of the Contest at any time. As consideration for participation in the Contest, Entrants agree that Sponsor and Prize Givers and their respective parents, subsidiaries and affiliated companies (collectively “Released Parties”) maintain no control over the products or services supplied by others as a part of the Contest. They are merely, as applicable, Sponsor of the Contest and independent suppliers of certain Contest prizes and are not in any way related to the other suppliers. All prizes are awarded “As Is” and without warranty of any kind, express or implied (including, without limitation, any implied warranty of merchantability or fitness for a particular purpose). The lead sponsor and representative of all sponsors is Hit Like A Girl Contest 1346 The Alameda Suite 7-212, San Jose, CA 95126.